How we use your given information? When you reserve or purchase travel services through us, we provide information about you to the airline company, car rental agency, hotel, or other travel provider to ensure the successful fulfillment of your travel arrangements. We do not sell individual customer names or other personal information to third parties nor do we plan to do so in the future. This website may contain links with a third party. 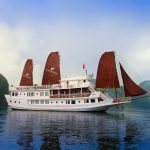 The information and privacy policies of those sites other than www.halongvietnamcruise.com are not covered by this company. We encourage you to read the privacy policies of all third party web sites. 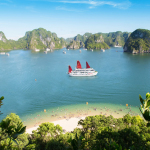 AsiaLink Travel JSC., (Vietnam) makes every effort to ensure that any materials or rates displayed on this website are accurate as at the date of issue. Changes in market conditions or circumstances may occur after the issue date which may make information displayed on this website no longer accurate or no longer reflect the current position. AsiaLink Travel JSC., (Vietnam) hereby expressly disclaim any representation, warranty or undertaking in relation to the accuracy, completeness, quality or adequacy of any contents of this website. We will not be responsible for any loss resulting from your relying on any information provided on this website. 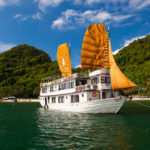 AsiaLink Travel JSC., (Vietnam) makes every effort to work with hotels which provide an acceptable standard of service and accommodation for the price paid, we hereby expressly disclaim any representation, warranty or undertaking in relation to the quality or adequacy of any hotel listed on our website. Website modifications. 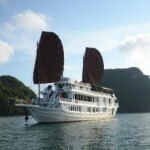 AsiaLink Travel JSC., (Vietnam) has the right to modify this disclaimer, suspend or discontinue our website. Any modification is effective immediately upon posting to this site without any prior notice. This statement applies to those AsiaLink Travel Company websites and services that display or link to this notice. AsiaLink Travel prohibits the use of the Services in any manner associated with the transmission, distribution or delivery of any unsolicited bulk or unsolicited commercial e-mail (“Spam”). You may not use any Services to send Spam. You also may not deliver Spam or cause Spam to be delivered to any of AsiaLink Travel ‘s Services or customers. use a third party’s internet domain name, or be relayed from or through a third party’s equipment, without permission of the third party. AsiaLink Travel does not authorize the harvesting, mining or collection of e-mail addresses or other information from or through the Services. AsiaLink Travel does not permit or authorize others to use the Services to collect, compile or obtain any information about AsiaLink Travel ‘s customers or subscribers, including but not limited to subscriber e-mail addresses, which are AsiaLink Travel ‘s confidential and proprietary information. AsiaLink Travel does not permit or authorize any attempt to use the Services in a manner that could damage, disable, overburden or impair any aspect of any of the Services, or that could interfere with any other party’s use and enjoyment of any Service. If AsiaLink Travel believes that unauthorized or improper use is being made of any Service, it may, without notice, take such action as it, in its sole discretion, deems appropriate, including blocking messages from a particular internet domain, mail server or IP address. AsiaLink Travel may immediately terminate any account on any Service which it determines, in its sole discretion, is transmitting or is otherwise connected with any e-mail that violates this policy. Nothing in this policy is intended to grant any right to transmit or send e-mail to, or through, the Services. Failure to enforce this policy in every instance does not amount to a waiver of AsiaLink Travel ‘s rights.